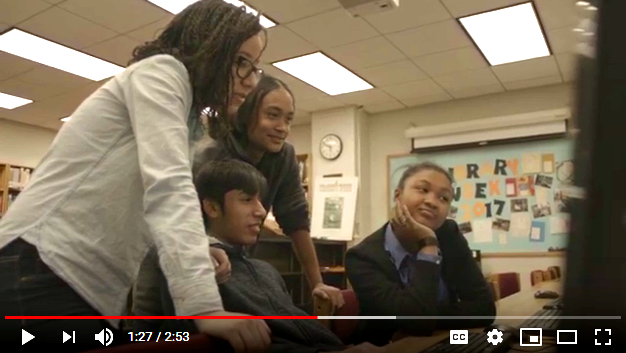 Develop a high-tech bus that brings an inspiring, grade appropriate, interactive tolerance exhibit to middle and high school students in New York City. work in various after-school and public settings. Once prototype is successful, bring tolerance education nationwide. OUR VISION Our vision is a peaceful, humane world that respects human dignity among all people. Our mission is to promote tolerance, our common humanity, and the importance of individual and civic responsibility among youth of all backgrounds. and compassion by bringing history to life. The hope. A more peaceful, humane world. Your gift can make this possible and we cannot do it without your help. Support Us Now. to diminish groups of people.